2. 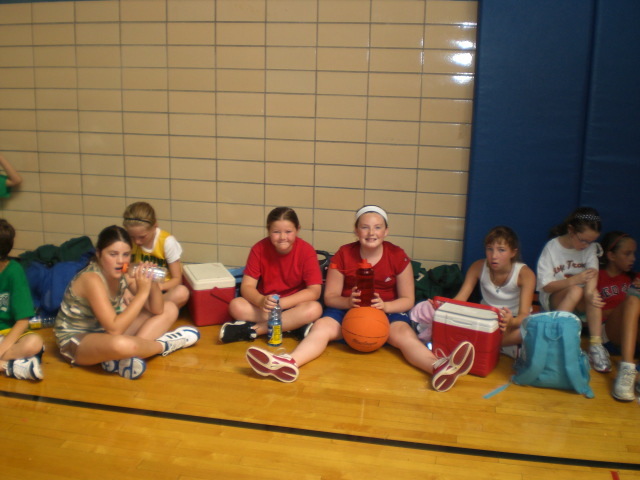 “As a pre Title IX athlete, and someone who has been playing basketball for the past 60 years, I never had the opportunity to attend a basketball camp. 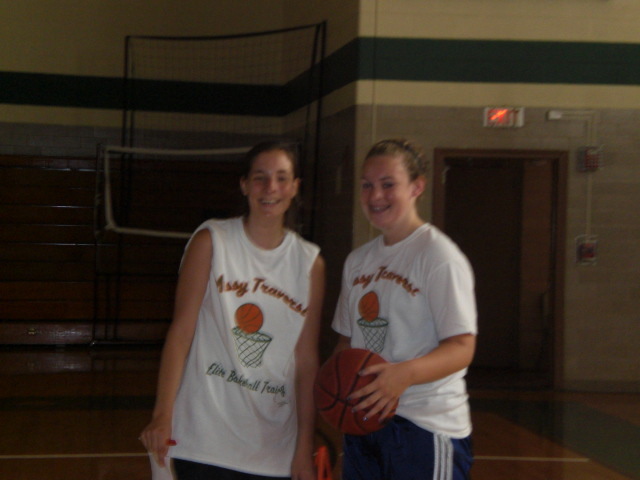 I had followed Missy Traversi’s career since her playing days at Bishop Feehan High School and when I heard she was back in the area and beginning her Elite Basketball Training I didn’t hesitate to contact her. When I first approached Missy in 2007 and asked if I could be one of her campers at her summer program I never anticipated what was to follow. It was a wonderful experience, learning along side of elementary, middle and high school students. These young athletes welcomed me as one of the campers. Age made no difference. Word spread of the opportunity Missy had provided for me and she was asked to conduct a one-day instructional clinic for senior women basketball players ages 50 and older at Wesleyan University in CT.
4. “I can’t say enough about you and your training. You have made a huge impact on my daughter Lexi. She looks up to you, and you have given her a desire to push herself in her training and development. Every time I tell her to get ready to go to your training, she says, I’m all ready, and she’s excited to go. Lexi says it’s hard work, but she loves it. Please keep us updated on all of your training and clinics. 6. 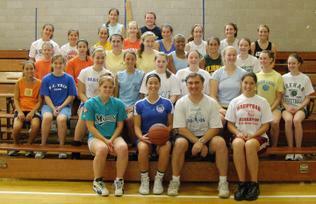 Hi Missy, I wanted to let you know how much my girls and I enjoy your camps and clinics. With players in Elementary, Middle and High School, it’s great to find a program that offers training for all of them. Your innovative drills challenge the players and do so in a way that is new and refreshing. The time is fully maximized and the girls are getting a solid workout. 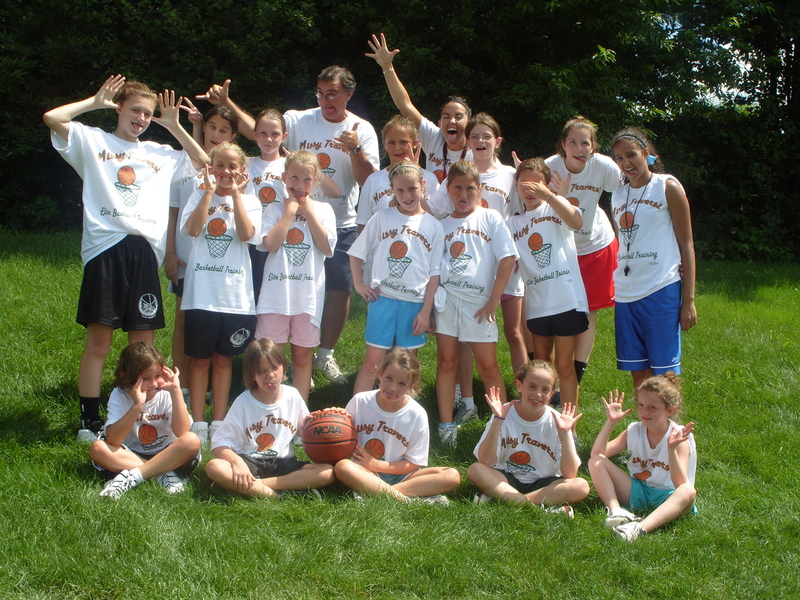 Your enthusiasm resonates to the players, helping to make a tough workout extremely enjoyable. It’s nice to see them walking off the court with red faces and smiles. You make training both productive and fun. It was incredible to see how quickly her skills developed in one week’s time. From dribbling to shooting as well as a heightened level of self-awareness and confidence. Colleens also spoke about team spirit, “GO SHAMROCKS”. In fact, she enjoyed the program so much that on the last day when I picked her from camp I noticed she was crying in the back seat as we drove home. When I asked her what was the matter she said,” she didn’t want basketball camp to end.” As a working mom what more could I ask for than to know my child is safe, valued and enjoying herself so much that she wanted to get up in the morning and go to camp. Colleen has since participated in-group clinics and one-on-one coaching and each one these programs has made an amazing and positive difference in her love for the sport and her life. With that in mind I highly recommend all of Missy Traversi’s Elite Basketball Training Programs for any child with an interest in learning the proper techniques of ball handling or just wants to have fun.